This simple plan can be worth as much as $100,000 to you over the next 20 years! If you want - or most likely, desperately need - to make an extra $500 a month, you're going to have to take action. What follows are 3 steps to getting that money rolling in. 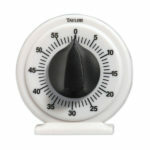 Once you have it set up, you can collect money around the clock, from around the world! I'm talking about setting up an e-commerce operation. You can start with a simple product, from a simple website. With a simple sales message. But that's getting a little ahead of ourselves. This is where every smart entrepreneur begins. The common definition of business is delivering products or services in exchange for money. Delivering products or services that people want for money. And this is where money would-be entrepreneurs fail. Then comes the despair, second-guessing, and often, muttering that business doesn't work. Start your business by first finding a problem. One that is shared by lots of people. People who are in pain. People who are confused. But most important, find a problem shared by lots of people who have the money - and the desire - to solve their problem. Then figure out the solution to that problem. Make sure the solution is something that is understandable to the people with that problem. Do all the research so that your solution is foolproof - and something that people with that problem can actually accomplish. Your goal in this step is to solve the problem in such a way that you have transformed yourself into the world's leading expert on this problem. Now that you're an expert, you're going to write a book about solving the problem. The problem shared by lots of people who have the money and the desire to solve that problem. And now that you have become an expert on solving this problem, writing the book, as I said, is going to be easy and fun. Just make sure every chapter, every page of your book solves that problem. It should be full of practical steps, solid advice, and most of all, optimism. The next step is the hardest. But once you master the skill of selling your solution to people's problems you will find it easy to make that $500 a month we promised you. 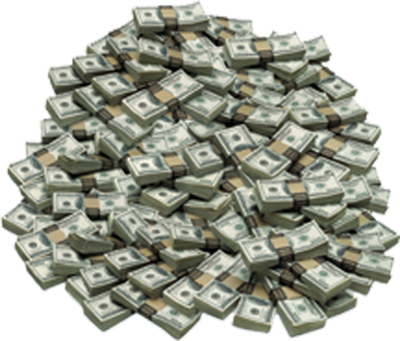 Better yet, you will be able to repeat it over and over, year after year - so that you will also find it possible to make that $100,000 we also talked about. 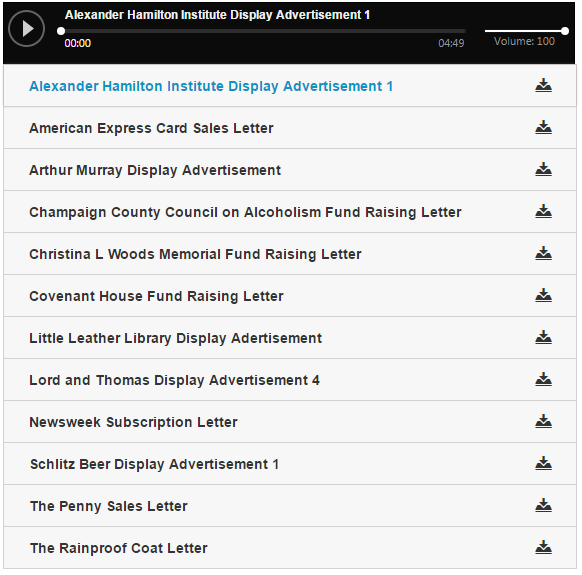 A piece of software to sell the book. A payment processing service such as PayPal or Stripe. These are technical considerations, and pretty low cost - you can get started for about hundred bucks. Online entrepreneurs who get bogged down in the latest software, web design and social media schemes waste thousands of hours messing around when they should be doing the one thing that brings in the money. And the one thing that brings in the money is selling. And by selling, we mean persuading people to part with their hard-earned money. To persuade people to buy the book you have written, you have to go back to Step 1 - the problem you solved. And you have to talk to people about their problem - in such a way that it reminds them how painful it is, how long they have suffered, how much it costs them to live with the problem and how really, really desperate they are to solve their horrible problem once and for all. And once you have done all that, you are going to present them with the solution to their problem. In this case the solution to their problem is the book you have written (because you are now the expert in the field). And then they will give you their money - but only after you have reminded them of their problem, helped them re-experience the pain and then offered both hope and relief that there is a solution. And yes, as we mentioned earlier, optimism is part of the solution - because you are not just trying to make people feel bad, but offering them a way to solve their problem. So how do you weave all these elements into a sales pitch that will convince people to exchange their money for your book, which is also a way of turning their despair into hope? Copywriting is the skill of using words to persuade people to take action. The problem - and thousands struggle with it - is that the field of copywriting is enormous. There are at least a dozen classic, incredible books on the subject. There are a hundred really good websites about copywriting. 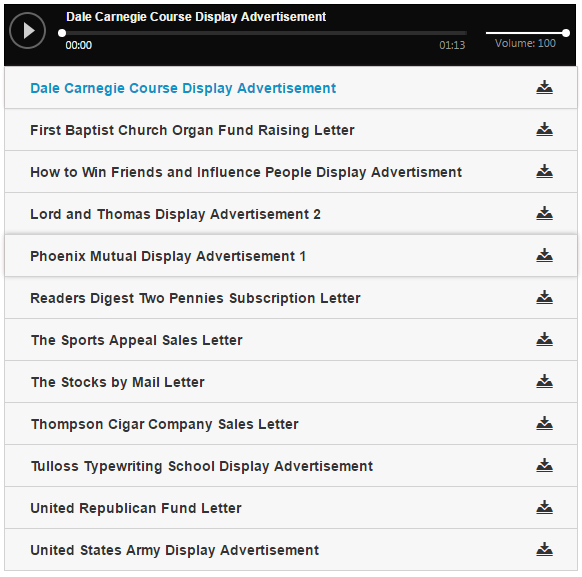 And there are dozens of (sometimes decent) courses that promise to teach you the skill of copywriting. But the problem for you is similar to what we mentioned before - you can spend hundreds of hours "studying" copywriting before you ever sell a single copy of your book! Don't make the same mistake that has derailed thousands of Entrepreneur's Dreams! Let's imagine a wonderful moment in your future. You have followed the first 2 steps above. You have found a solution to a problem shared by lots of people with the desire and money to pay for that solution. You are an expert on the subject and you have written an excellent book that delivers on that promise. You are now ready to sell that book - that solution - to lots of people with that problem. They are out there, money in hand, waiting for you to show up and sell them the solution to their problem. Do you want to spend another couple hundred hours learning how to communicate with your audience? You want to solve your problem in the easiest, fastest way possible - don't you? Just like thousands of people before you, we struggled with the problem of learning copywriting. We read a dozen books, studied a hundred websites. We even took a couple (very expensive) courses. Then we stumbled on a solution so simple - so elegant - it is literally mind-blowing! We studied the classic copywriting and advertising of the last 100 years. Examples from direct mail, newspapers and magazines that have sold billions of dollars worth of goods and services. One day the solution became obvious. Listening to the greatest examples of copywriting is the fastest, easiest way to absorb this essential skill! You may have heard some people teach themselves copywriting by writing classic advertisements out by hand. This is a respectable way to do it. But it takes lots of time. Time when you could be selling your book to the thousands of people waiting to give you money in exchange for the solution to their problem. 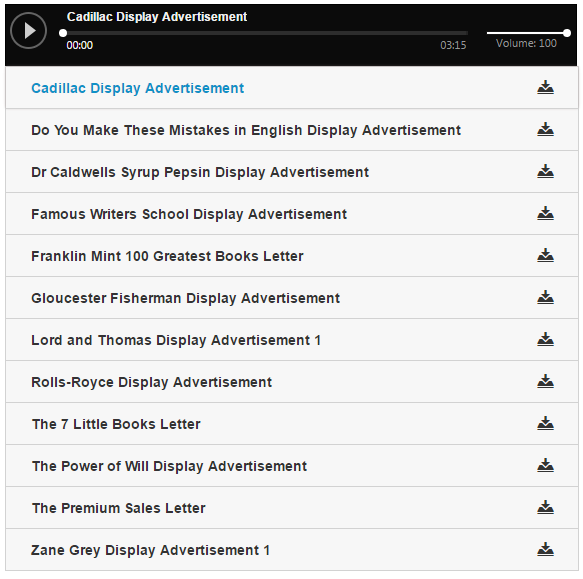 That's why we created The Copywriter's Toolkit - a collection of 86 of the greatest advertisements ever written - over 6 hours of recorded material - so that you could absorb the knowledge directly - from your ears to your brain! 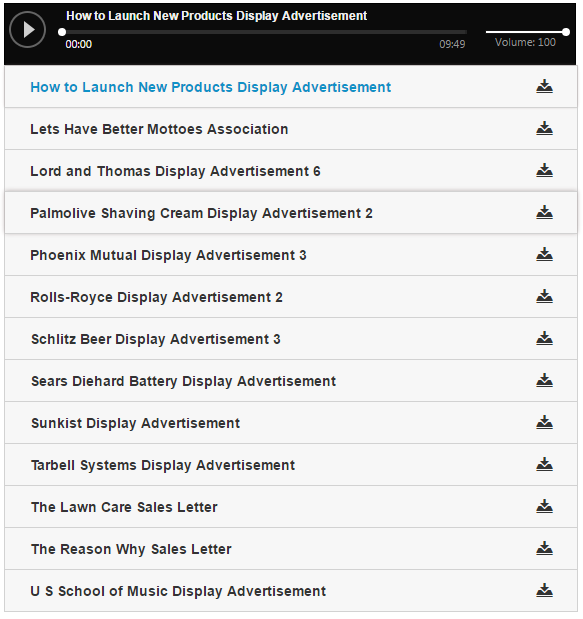 The advertisements in this collection run, on average, only a couple minutes each. That means, every time you listen, you get the headline, the story, the pain and the benefits in a quick, mini-tutorial on how the greatest who ever did it persuaded people to buy their products. And every time you listen, you are planting a seed in your mind. Every time you listen, you absorb the rhythm and pacing of a convincing sales pitch. Every time you listen you learn the logic of how to move a customer from problem to solution. Every time you listen you become more expert in how to tell your own story. Over time, the pressure will build in your mind to create the most amazing sales letter for your own book! When you sit down to write your own pitch for your own book, you will have all the wisdom in this billion-dollar collection at your command. The skill of copywriting will be "in your bones" and you will find yourself crafting the perfect message that meets your audience where they live - in the problem - and be able to create a beautiful future for them - where they are living with your solution! And you will be making the $500 a month we promised you at the beginning of this sales letter. And you will also be able to repeat the process, which is the other promise we made you. And we hope you can see how we actually demonstrated the 3-step process for you - by solving a problem, creating a product and then selling that product. So this method works - our goal for you is to spend time on the fun part of writing a book - but only after you have absorbed the importance of solving problems first and then being able to communicate your value to your audience with copywriting. Good luck and we hope to see you inside the member's area where you will find everything you need to learn the skill of copywriting - which is the skill of using works to persuade people to take action. This is an unprecedented, never-before accomplished revolution in copywriting education! Mel Martin - the quiet man who turned bullets into an advertising weapon! Maxwell Sackheim - the mad genius who invented the Book of the Month Club! John Caples - the dean of tested advertising! Claude Hopkins - the patron saint of advertising science! Robert Collier - the gentleman persuader! David Ogilvy - the fierce Scotsman who loved direct response! Vic Schwab - the secret weapon behind the success of How to Win Friend and Influence People! Joe Karbo - this "lazy man" inspired the modern age! Albert Lasker - the man who invented Sunkist - and orange Juice! 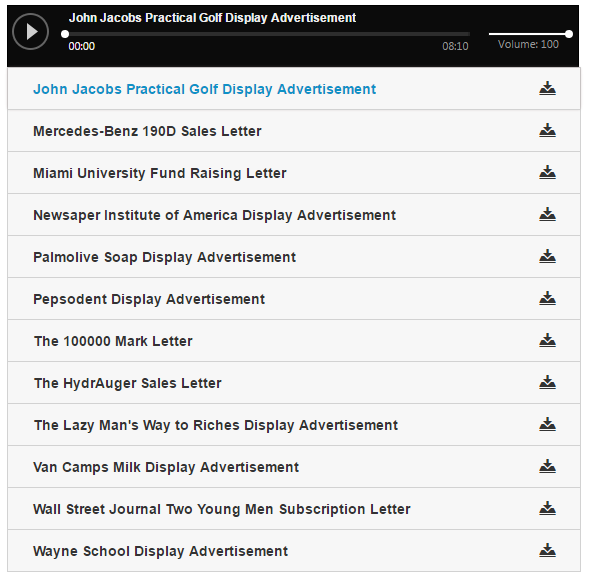 Every one of the sales letter in this collection comes with both a PDF reproduction AND a complete MP3 recording of the entire advertisement. That's because listening to an ad is the faster and more effective way to learn the rhythm, pacing and pure persuasive power of advertising copy that sells. 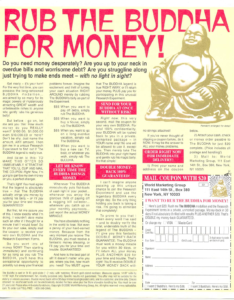 For your free sample to illustrate how The Copywriter's Toolkit works, we've chosen this classic ad, Rub the Buddha for Money, that's been running in some form for over 20 years! And since you are an advanced student of marketing and copywriting you already know that an ad that's run for that long is one that pays - and thus, one that you want to study. Right-click on the image of the Rub the Buddha for Money advertisement to get your free PDF - then listen to the complete 8-minute recording below - we think you'll agree that this amazing method will help you become a million-dollar copywriter faster than you ever dreamed possible. Just imagine how powerful you're going to become when you repeat this simple exercise 86 times! The Copywriter's Toolkit is so intense, so jam-packed of advertising knowledge, that it is delivered to you over the course of 7 days - so you can absorb all the wisdom at a pace you can put into practice every single day. 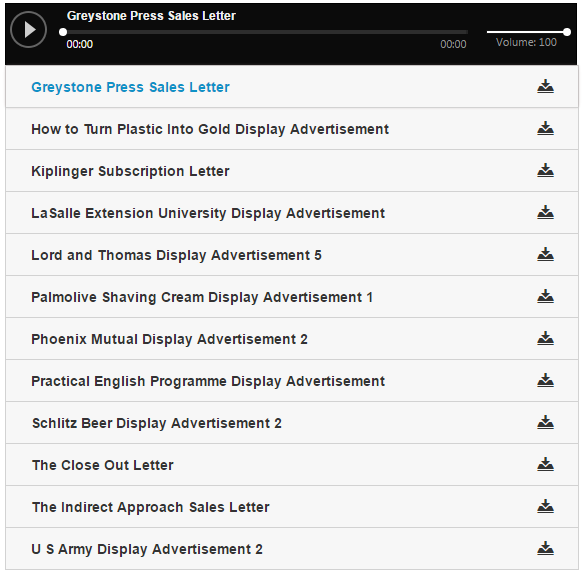 Each day's sales letters come to you in PDF and MP3 format - that you can view through our membership portal - or download for your convenient use. Of course there are Bonuses! The Secret Writing Technique used by copywriting legend Eugene Schwartz! Toward the end of his storied and profitable career, Eugene Schwartz detailed his writing method that enabled him to turn out million-dollar copy on command. And you can have it today with your purchase of The Copywriter's Toolkit. It's so simple - just as simple as our revolutionary method of learning copywriting - that you may be tempted to not even give it a try. In just a short time - let's say 7 days - of using this writing method you will find yourself churning out copy faster than you ever dreamed possible! 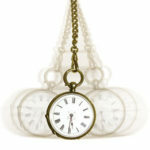 The Hypnotic Language Patterns of Milton Erickson - founder of modern hypnosis! For years, the hypnotic technique of the legendary Milton Erickson was a mystery - until his students analyzed recordings of his deceptively simple "conversational hypnosis." It turns out that Dr. Erickson's technique was based on a series of language patterns - 60 in fact - that, delivered over time, enabled him to gain the trust of his patients' subconscious minds. When you learn these simple phrases (from our PDF and MP3 format) you can sprinkle them throughout your ad copy and likewise gain the trust of your customers - so that it will seem the obvious choice to buy what you are selling! 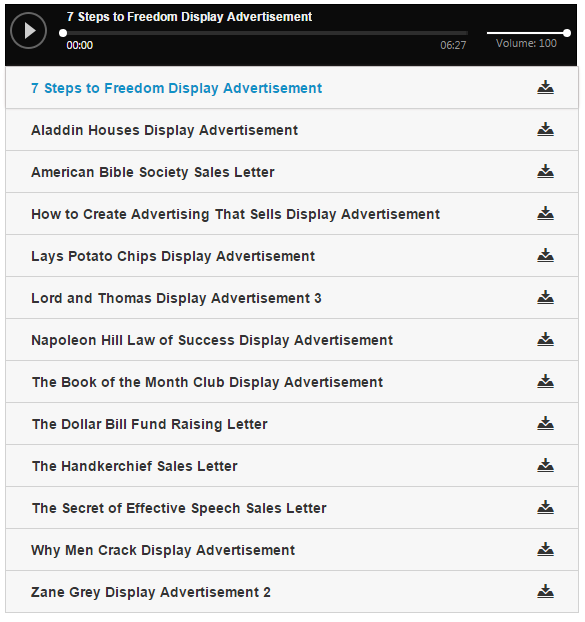 For a limited time, total access to The Copywriter's Toolkit - all 86 sales letters and advertisements in PDF and MP3 format - over 6 hours of recorded material - PLUS the Eugene Schwartz Secret Writing Technique AND the Milton Erickson Hypnotic Language Patterns is only $39.